Quite often we’re asked if we can replicate an old heritage gate that someone’s seen and fallen in love with. 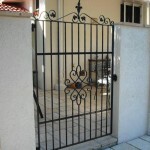 The usual scenario is that you’ve got an older property which has lost the original gates but you haven’t been able to buy an old gate from anywhere. You really need something ‘old’ to suit. The one gate we’ve been asked about the most is the one shown in the Vic Tourism ad for Daylesford and Hepburn Springs. 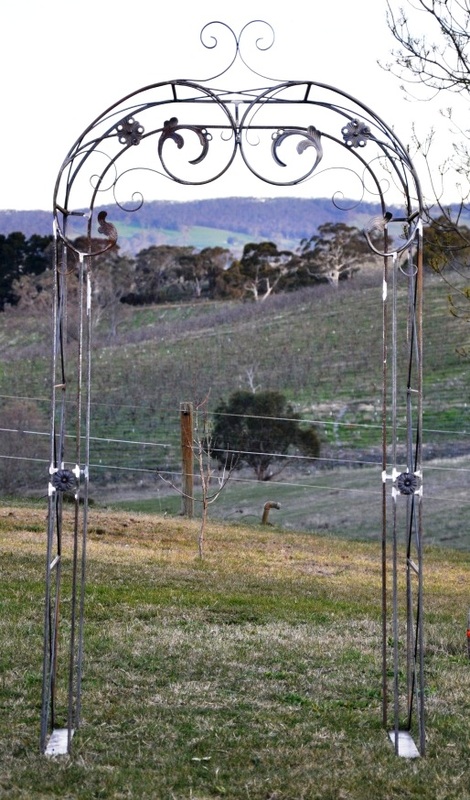 This gate graces the driveway entrance to the historic Wombat Park Homestead with it’s magnificent gardens. 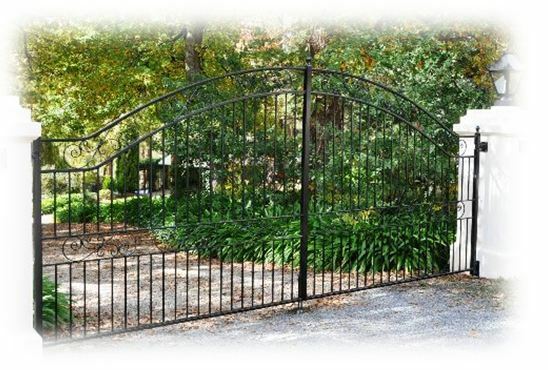 If you’re looking for a wrought iron gate or fence in Adelaide it’s important you know the difference between a genuine wrought iron product which will last a lifetime and a cheap and inferior product which will never look the same or last as long. 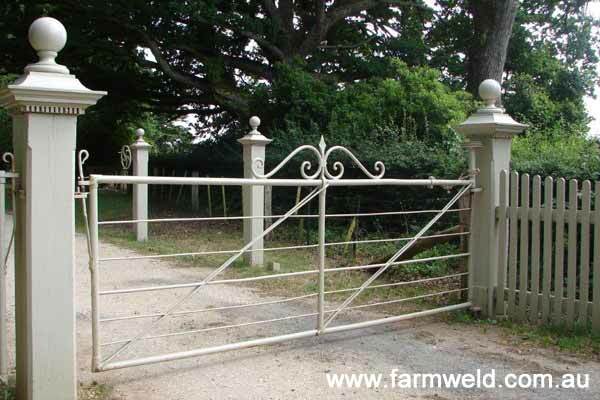 The more Farmweld’s reputation grows the more we hear about the number of businesses in Adelaide advertising wrought iron gates when in fact all they make is panels from thin tubular steel with mass produced cast aluminium spears. It’s surprising how few people recognise the difference between genuine wrought iron gates & fence panels and cheaper tubular products labelled as ‘wrought iron’. 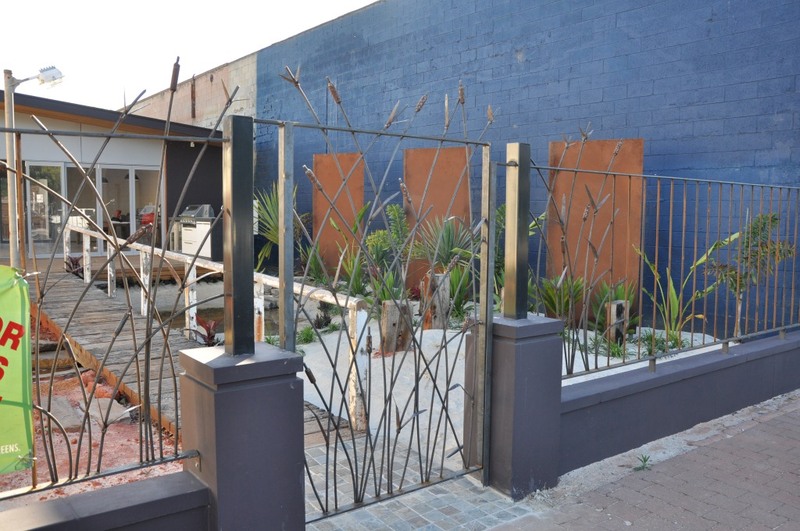 We were approached by the owners of the new Landscaping and Design Centre on Glen Osmond Rd in Adelaide, to build a unique fence and wrought iron gate. They wanted something contemporary rather than traditional as their display centre had some unique modern landscaping layouts. 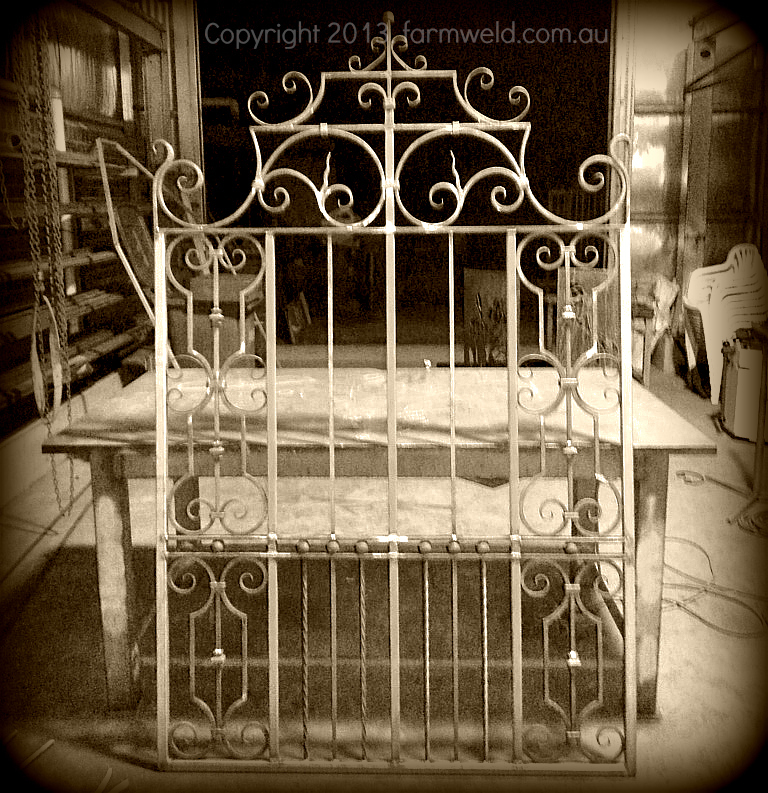 Looking for an Adelaide blacksmith to custom make your wrought iron? 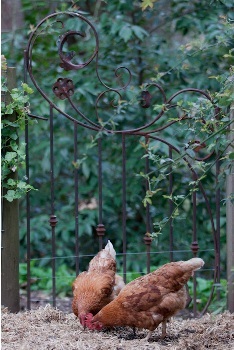 Rusty old garden gates and farming implements are much sought after as garden features. Many people love the rusty patina of steel. 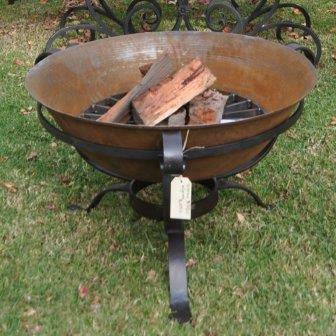 Learn how to maintain your steel items so they’re around for years to come. 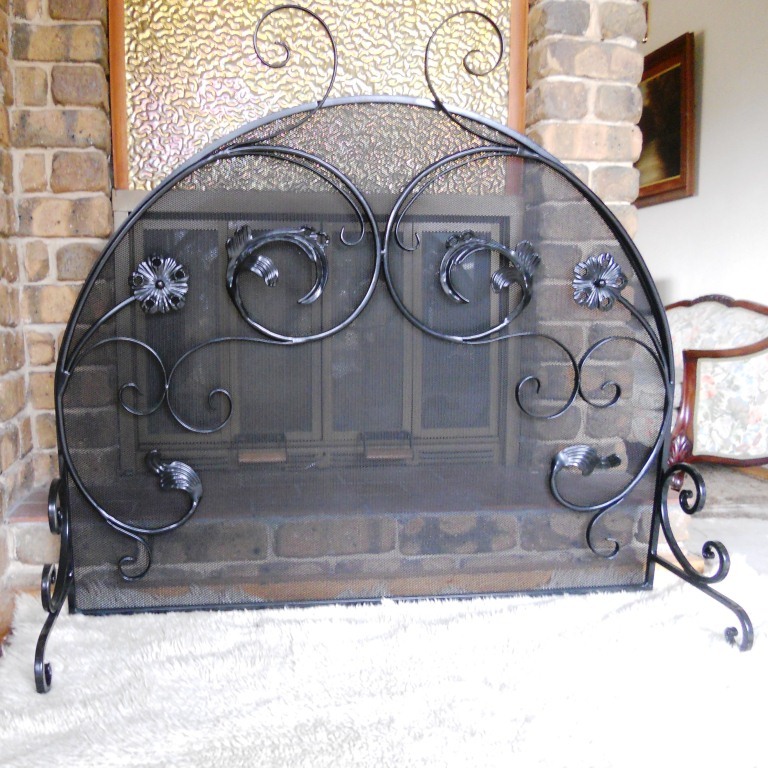 We always enjoy doing custom iron work with an artistic touch. We had the pleasure of designing and fabricating this garden arch for a local customer, Michael who chose to go with a unique design. 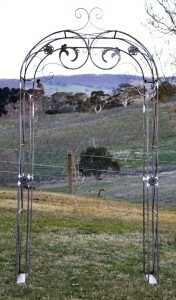 The brief of this design was to provide Michael with an organic looking garden arch to suit his garden. Building projects are always easier when you have competent people to help you out. A lovely couple from Brisbane were in the process of having a courtyard built at the back of their home. 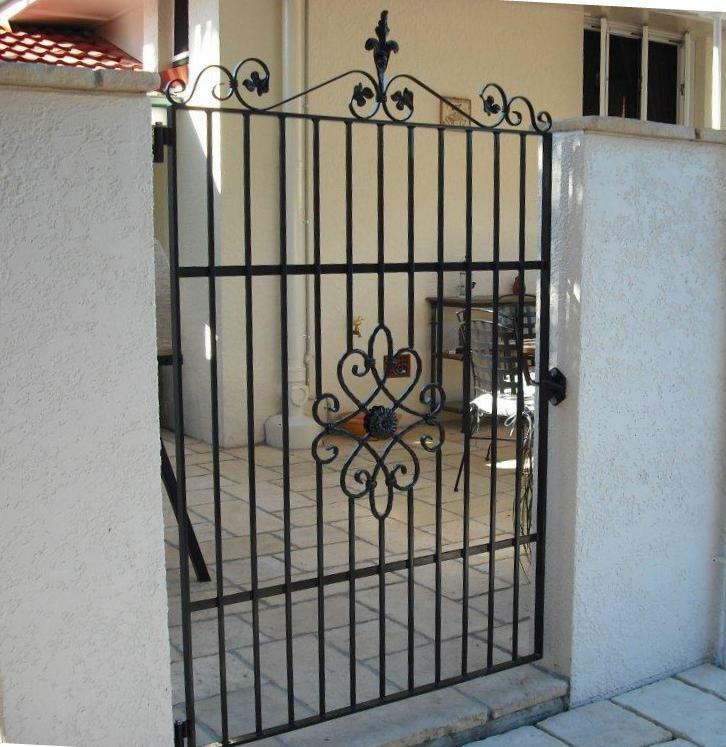 They needed a wrought iron gate to set off their French provincial style courtyard but needed some assistance with the design of a gate as there was still nothing there. The safety of two small terriers had to be taken into account as well. If you can't pick up your order we can arrange delivery on your behalf. 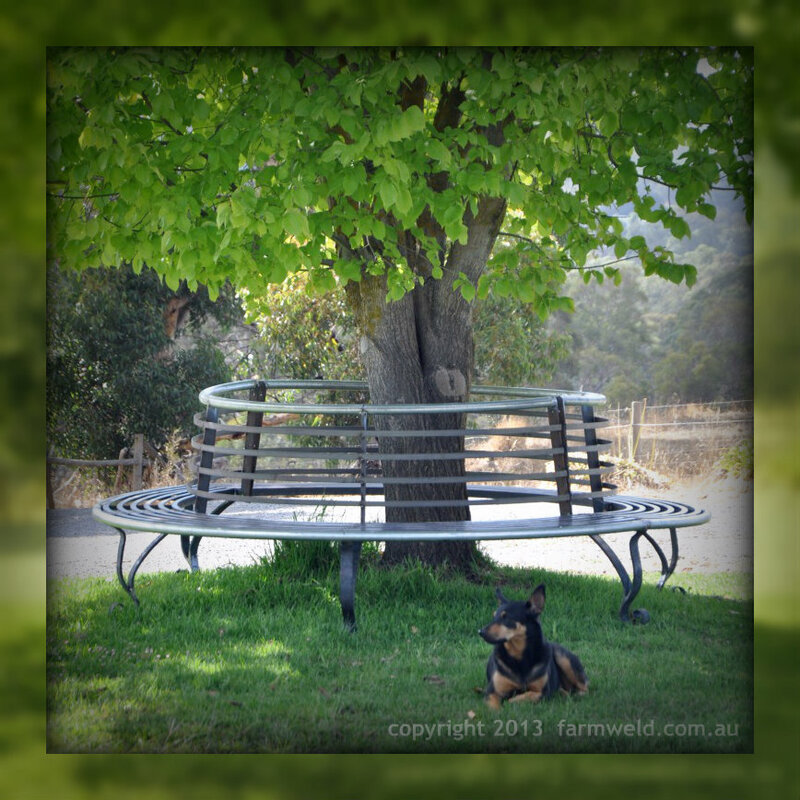 Farmweld products are shipped all around Australia. No matter whether you're in Queensland, NSW, Victoria, Tasmania, Western Australia or the Northern Territory, we can help arrange delivery anywhere in Australia. Talk to us today to see how we can help you. Due to an unprecedented numbers of orders, the workshop schedule is fully booked till Jan 2015. A hole in the OH&S manual? Copyright © 2013 AJ&PA Hood. All rights reserved.